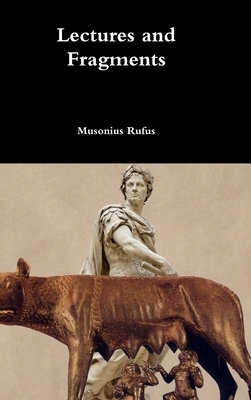 The lectures or discourses of Musonius Rufus: 1. That There is No Need of Giving Many Proofs for One Problem 2. That Man is Born with an Inclination Toward Virtue 3. That Women Too Should Study Philosophy 4. Should Daughters Receive the Same Education as Sons? 5. Which is more Effective, Theory or Practice? 6. On Training 7. That One Should Disdain Hardships 8. That Kings Also Should Study Philosophy 9. That Exile is not an Evil 10. Will the Philosopher Prosecute Anyone for Personal Injury? 11. What means of Livelihood is Appropriate for a Philosopher? 12. On Sexual Indulgence 13. What is the Chief End of Marriage 14. Is Marriage a Handicap for the Pursuit of Philosophy? 15. Should Every Child that is Born be Raised? 16. Must One Obey One's Parents under all Circumstances? 17. What is the Best Viaticum for Old Age? 18. On Food 19. On Clothing and Shelter 20. On Furnishings 21. On Cutting the Hair.